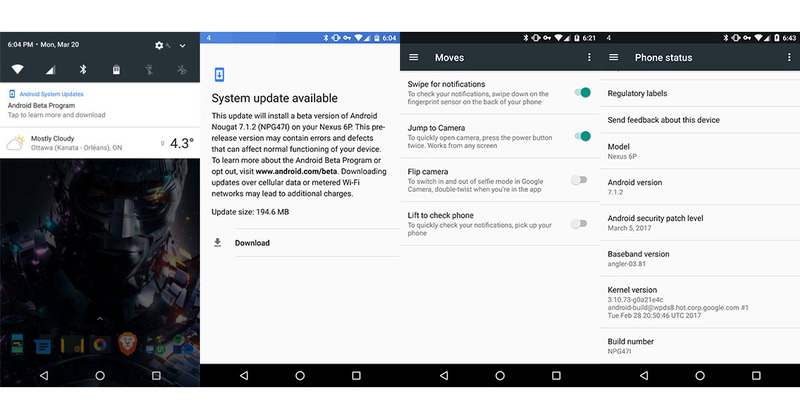 Nougat's rollout of 7.1.2 NPG47I with March's security patch levels is out and rolling out to devices in Canada and this includes the Nexus 6P. Also in the mix, we now have gestures with the fingerprint scanner which enables you to swipe up and down the notification shade natively. Is there more in this update? Maybe, I haven't seen anything else that would suggest that. Almost 200mb for the update file. Slightly larger than most patch.